Gamers in the world of eSports are constantly looking for ways to perk up their brains and improve their reaction times, and therefore their performance. A group of researchers at the University of Western Australia believe they have the perfect device for them. 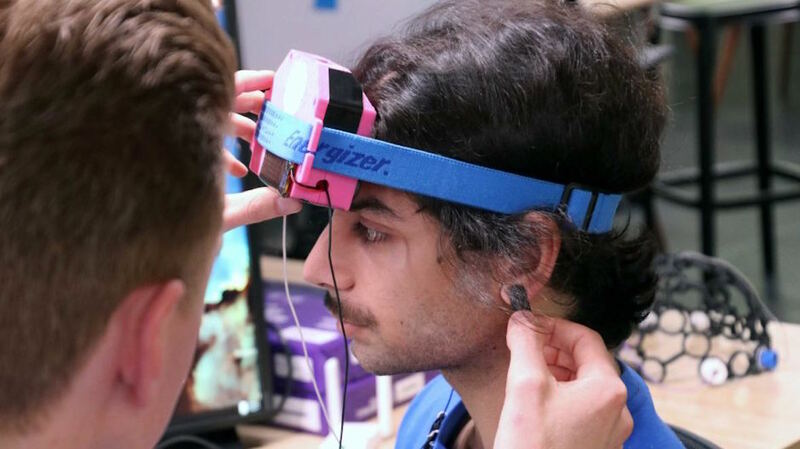 The universities' HUMM research group has created a wearable headset referred to as a "brain computer interface." It can make your brain work faster and better using electric shocks. The prototype device has four electrodes that measure your brain waves to read when you're losing focus. Once it senses that, it shocks you with electricity to get you focused again. Don't worry, this isn't a serious electric shock - the amount of electricity is less than what's in an electric toothbrush. The team claims that the benefits include doubling short-term memory, halving learning times and even predicting mistakes before you make them. "It's as if you've got more RAM in your computer, for free," Dr. Tim Fiori, HUMM neuroscientist, said to the Australian Broadcasting Company. While the team is still in the testing phase and hopes to complete research to publish their findings, they're targeting eSports gamers first because they're the perfect test group for something like this. They need focused reaction times and are willing to wear something on their heads while they play, though it's still up in the air if eSports regulations would allow their athletes to wear these during official matches, as other performance-enhancing tech is banned. Once they've finished targeting the 250 million eSports players, the team is looking to expand past that to students, long-haul drivers and pilots, who all need help focusing in attention-heavy environments. "We want to make it a democratized technology where everyone has access," co-founder Iain McIntyre said. "Rather than people from rich companies in Silicon Valley using the device themselves to get ahead." Ah yes, Silicon Valley. There are already a couple companies working on similar ideas, like the Sport headphones from Halo Neuroscience and Neuroverse's BrainStation. Of course, neither of those devices are as advanced as what UWA is working on - well, not yet at least.